Kick off your visit on the 8th (Wed): take in nature's colorful creations at Japanese Tea Garden and then snap pictures at Golden Gate Bridge. Keep things going the next day: make a trip to Lombard Street, then take a stroll through Fisherman's Wharf, then step off the mainland to explore Alcatraz Island, and finally browse the different shops at Ferry Building Marketplace. To see where to stay, photos, more things to do, and other tourist information, read our San Francisco trip itinerary maker tool . Zurich, Switzerland to San Francisco is an approximately 14-hour flight. You can also do a combination of train and flight. The time zone difference when traveling from Zurich to San Francisco is minus 9 hours. In April, San Francisco is a bit warmer than Zurich - with highs of 22°C and lows of 12°C. Wrap up your sightseeing on the 10th (Fri) early enough to drive to Monterey. 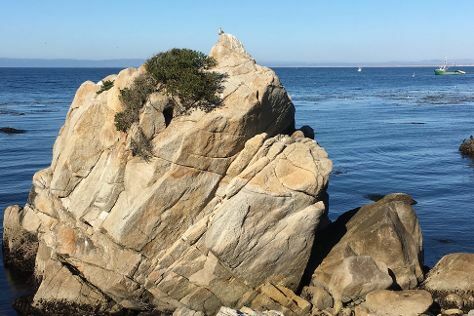 Monterey is a city in the U.S. Start off your visit on the 10th (Fri): appreciate the extensive heritage of Pacific Grove Oceanview Boulevard, then stop by Monterey's Tasty Olive Bar, and then explore the activities along Monterey Bay. For ratings, traveler tips, and tourist information, use the Monterey online travel route planner . Traveling by car from San Francisco to Monterey takes 2.5 hours. Alternatively, you can fly; or do a combination of train and bus. In April, plan for daily highs up to 20°C, and evening lows to 10°C. Finish up your sightseeing early on the 10th (Fri) so you can travel to Page. Step off the beaten path and head to South Kaibab Trail and Mather Point. Get out of town with these interesting Page side-trips: Kanab (Best Friends Animal Sanctuary, Nautilus Rock, & more), Natural Bridge (in Bryce) and Grand Canyon National Park (Grand Canyon South Rim & Desert View Watchtower). Spend the 15th (Wed) exploring nature at Glen Canyon National Recreation Area. And it doesn't end there: see human ingenuity at work at Glen Canyon Dam Overlook, take some stellar pictures from Inspiration Point, and take in panoramic vistas at Bryce Point. For other places to visit, ratings, traveler tips, and more tourist information, go to the Page trip builder site . Traveling by combination of shuttle and flight from Monterey to Page takes 6.5 hours. Alternatively, you can fly; or drive. Traveling from Monterey to Page, you'll lose 1 hour due to the time zone difference. When traveling from Monterey in April, plan for somewhat warmer days and about the same nights in Page: temperatures range from 26°C by day to 10°C at night. Wrap up your sightseeing on the 16th (Thu) early enough to drive to Sedona. You'll discover tucked-away gems like Cathedral Rock and Spas & Wellness. Step out of Sedona with an excursion to Montezuma Well in Rimrock--about 40 minutes away. There's much more to do: admire all the interesting features of Red Rock Scenic Byway (SR 179), take an unforgettable tour with a helicopter tour, trek along Doe Mountain Trail, and tour the pleasant surroundings at Fay Canyon Trail. To find where to stay, more things to do, traveler tips, and other tourist information, you can read our Sedona day trip site . You can drive from Page to Sedona in 3.5 hours. Alternatively, you can do a combination of shuttle and bus; or do a combination of flight and bus. April in Sedona sees daily highs of 26°C and lows of 10°C at night. Finish up your sightseeing early on the 19th (Sun) so you can travel to New Orleans. Step off the beaten path and head to Garden District and New Orleans City Park. Go for a jaunt from New Orleans to Wallace to see Whitney Plantation about 54 minutes away. Spend the 22nd (Wed) exploring nature at Jean Lafitte National Historical Park and Preserve. The adventure continues: contemplate in the serene atmosphere at St. Louis Cathedral, take in the local highlights with Walking tours, test your team's savvy at Clue Carre - New Orleans' First Live Escape Game, and admire the landmark architecture of Destrehan Plantation. To see other places to visit, photos, where to stay, and other tourist information, go to the New Orleans road trip planning tool . Do a combination of bus and flight from Sedona to New Orleans in 9 hours. Alternatively, you can do a combination of taxi and flight; or drive. The time zone difference when traveling from Sedona to New Orleans is 1 hour. Expect much hotter evenings in New Orleans when traveling from Sedona in April, with lows around 25°C. Wrap up your sightseeing on the 24th (Fri) to allow time to travel to Marathon. Eschew the tourist crowds and head to Fishing Charters & Tours and The Turtle Hospital. Change things up with these side-trips from Marathon: Islamorada (History of Diving Museum & Islamorada Beer Company Brewery and Tasting Room). And it doesn't end there: immerse yourself in nature at Bahia Honda State Park, add some adventure to your tour with a kayaking and canoeing tour, snap pictures at Old Seven Mile Bridge, and admire nature's wide array of creatures at Florida Keys Aquarium Encounters. For maps, ratings, traveler tips, and tourist information, you can read our Marathon itinerary planning app . You can do a combination of flight and shuttle from New Orleans to Marathon in 7.5 hours. Alternatively, you can do a combination of flight and bus; or drive. You'll lose 1 hour traveling from New Orleans to Marathon due to the time zone difference. When traveling from New Orleans in April, plan for a bit warmer days in Marathon, with highs around 35°C, while nights are about the same with lows around 28°C. Finish up your sightseeing early on the 27th (Mon) so you can catcht the bus to Key West. You'll explore the less-touristy side of things at Fishing Charters & Tours and Kayaking & Canoeing. There's much more to do: take a tour by water with Boat Tours & Water Sports, see the interesting displays at The Ernest Hemingway Home and Museum, learn about all things military at U.S. Coast Guard Cutter Ingham Maritime Museum, and browse the exhibits of Key West Lighthouse and Keeper's Quarters Museum. For where to stay, other places to visit, more things to do, and more tourist information, read Key West trip maker tool . You can take a bus from Marathon to Key West in 1.5 hours. Another option is to drive. In April, daily temperatures in Key West can reach 33°C, while at night they dip to 27°C. Finish your sightseeing early on the 1st (Fri) so you can travel to St. Augustine. SAINT AUGUSTINE | PONTE VEDRA on Florida's Historic Coast The Nation's oldest city (est. Eschew the tourist crowds and head to St. Augustine Distillery and St. Augustine Lighthouse & Maritime Museum, Inc.. Step out of St. Augustine to go to Palm Coast and see Washington Oaks Gardens State Park, which is approximately 38 minutes away. The adventure continues: admire all the interesting features of Flagler College, enjoy the sand and surf at St. Augustine Beach, contemplate the long history of Mission of Nombre de Dios, and take an in-depth tour of Medieval Torture Collection. To see ratings, more things to do, maps, and more tourist information, use the St. Augustine trip planning app . You can do a combination of flight and car from Key West to St. Augustine in 6 hours. Alternatively, you can do a combination of flight and bus; or drive. Traveling from Key West in May, expect a bit cooler with lows of 22°C in St. Augustine. Finish your sightseeing early on the 4th (Mon) so you can drive to Savannah. Discover out-of-the-way places like Forsyth Park and Speed Boats Tours. Change things up with a short trip to Hunting Island State Park in Beaufort (about 1h 15 min away). And it doesn't end there: explore the different monuments and memorials at Bonaventure Cemetery, appreciate the extensive heritage of City Market, contemplate in the serene atmosphere at Mickve Israel Temple, and get up close to creatures of the deep with a dolphin and whale watching tour. To find maps, ratings, photos, and more tourist information, use the Savannah online tour itinerary planner . Traveling by car from St. Augustine to Savannah takes 3.5 hours. Alternatively, you can take a bus; or take a train. In May in Savannah, expect temperatures between 33°C during the day and 20°C at night. Cap off your sightseeing on the 8th (Fri) early enough to go by car to Charleston. You'll discover tucked-away gems like Walking tours and Fishing Charters & Tours. Next up on the itinerary: take in nature's colorful creations at Magnolia Plantation & Gardens, appreciate the history behind Fort Moultrie, test your problem-solving skills at popular escape rooms, and don't miss a visit to Middleton Place. Plan trip to Charleston with our itinerary maker to find out where to go and what to do. Traveling by car from Savannah to Charleston takes 2.5 hours. Alternatively, you can take a bus. In May, daily temperatures in Charleston can reach 32°C, while at night they dip to 20°C. Finish your sightseeing early on the 11th (Mon) to allow enough time to travel to Washington DC. Explore hidden gems such as United States Holocaust Memorial Museum and Great Falls Park. There's lots more to do: learn more about the world around you at Smithsonian National Museum of Natural History, explore the world behind art at National Gallery of Art, see the interesting displays at National Air and Space Museum, and appreciate the history behind Vietnam Veterans Memorial. To see where to stay, reviews, and more tourist information, you can read our Washington DC trip itinerary planning site . Getting from Charleston to Washington DC by flight takes about 4 hours. Other options: do a combination of flight and train; or drive. Plan for little chillier temperatures traveling from Charleston in May, with highs in Washington DC at 28°C and lows at 17°C. Wrap up your sightseeing on the 14th (Thu) to allow time to travel to New York City. Discover out-of-the-way places like Upper Delaware River and Ski Big Bear. When in New York City, make a side trip to see Walkway Over the Hudson State Historic Park in Poughkeepsie, approximately 1h 45 min away. Next up on the itinerary: take in the pleasant sights at Central Park, take a stroll through Times Square, appreciate the history behind 9/11 Memorial, and explore the world behind art at The Metropolitan Museum of Art. To see more things to do, reviews, ratings, and tourist information, read our New York City vacation builder app . Fly from Washington DC to New York City in 3.5 hours. Alternatively, you can take a train; or drive. Traveling from Washington DC in May, expect nights in New York City to be about the same, around 15°C, while days are a bit cooler, around 24°C. Finish your sightseeing early on the 18th (Mon) to allow enough time to travel to Boston. Eschew the tourist crowds and head to Museum of Fine Arts and Boston Common. Next up on the itinerary: admire the natural beauty at Boston Public Garden, admire all the interesting features of Fenway Park, pause for some photo ops at New England Holocaust Memorial, and steep yourself in history at Old State House. To find where to stay, more things to do, and more tourist information, you can read our Boston itinerary planning app . Traveling by combination of bus and flight from New York City to Boston takes 3 hours. Alternatively, you can fly; or drive. Expect little chillier evenings in Boston when traveling from New York City in May, with lows around 11°C. Wrap up your sightseeing on the 21st (Thu) early enough to travel to Chicago. On the 22nd (Fri), admire the landmark architecture of Chicago Cultural Center, then explore the world behind art at The Art Institute of Chicago, then pause for some photo ops at Cloud Gate, and finally learn the secrets of beer at a beer tour and tasting. To find reviews, other places to visit, ratings, and other tourist information, read Chicago trip planner . Fly from Boston to Chicago in 4 hours. Alternatively, you can do a combination of bus and flight; or drive. You'll gain 1 hour traveling from Boston to Chicago due to the time zone difference. May in Chicago sees daily highs of 25°C and lows of 13°C at night. Finish your sightseeing early on the 22nd (Fri) so you can travel to Yellowstone National Park. On the 23rd (Sat), explore the wealth of natural beauty at Old Faithful Visitor Education Center and then take in the natural beauty of Castle Geyser. 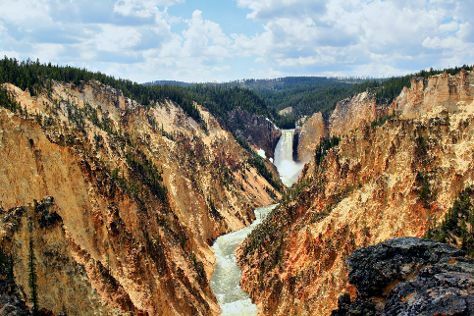 Get ready for a full day of sightseeing on the next day: look for all kinds of wild species at Grand Loop Road, then get great views at Lookout Point, and then explore the stunning scenery at Grand Canyon of the Yellowstone. To see photos, reviews, ratings, and more tourist information, read our Yellowstone National Park trip planning site . Traveling by combination of flight and car from Chicago to Yellowstone National Park takes 7 hours. Alternatively, you can do a combination of flight, shuttle, and bus; or drive. Traveling from Chicago to Yellowstone National Park, you'll gain 1 hour due to the time zone difference. While traveling from Chicago, expect little chillier days and cooler nights in Yellowstone National Park, ranging from highs of 13°C to lows of -3°C. Finish up your sightseeing early on the 25th (Mon) so you can travel to Boise. On the 25th (Mon), immerse yourself in nature at Lucky Peak State Park and then admire the majestic nature at Bruneau Dunes State Park. On the 26th (Tue), you'll have a packed day of sightseeing: wander the streets of Hyde Park, then tour the pleasant surroundings at Camel's Back Park, and then trek along Boise River Greenbelt. To find maps, traveler tips, where to stay, and other tourist information, refer to the Boise trip planning website . Do a combination of car and flight from Yellowstone National Park to Boise in 6.5 hours. Alternatively, you can drive; or do a combination of car, flight, and bus. Traveling from Yellowstone National Park in May, expect nights in Boise to be warmer, around 10°C, while days are somewhat warmer, around 26°C. On the 27th (Wed), wrap the sightseeing up by early afternoon so you can travel to Seattle. Kick off your visit on the 27th (Wed): find something for the whole family at Seattle Great Wheel. To find reviews, more things to do, ratings, and other tourist information, read our Seattle trip planner . Traveling by flight from Boise to Seattle takes 4 hours. Alternatively, you can drive; or take a bus. The time zone changes from Mountain Standard Time to Pacific Standard Time, which is usually a -1 hour difference. Traveling from Boise in May, expect nights in Seattle to be about the same, around 13°C, while days are slightly colder, around 23°C. Finish your sightseeing early on the 29th (Fri) so you can travel to Portland. 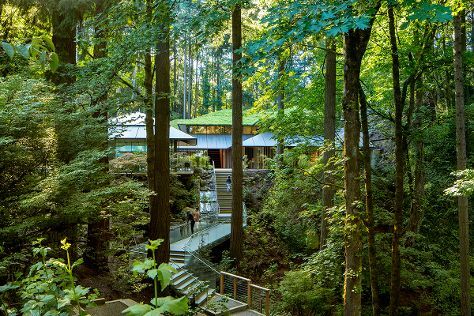 Kick off your visit on the 29th (Fri): stop by Powell's City of Books, see the interesting displays at Portland Art Museum, test your team's savvy at popular escape rooms, then tour the pleasant surroundings at Laurelhurst Park, and finally stroll through Forest Park. Get ready for a full day of sightseeing on the next day: take in nature's colorful creations at Portland Japanese Garden, admire the natural beauty at International Rose Test Garden, then tour the pleasant surroundings at Tom McCall Waterfront Park, then browse the eclectic array of goods at Portland Saturday Market, and finally admire the natural beauty at Lan Su Chinese Garden. Start your trip to Portland by creating a personalized itinerary on Inspirock. Traveling by flight from Seattle to Portland takes 3 hours. Alternatively, you can drive; or take a bus. In May, daytime highs in Portland are 24°C, while nighttime lows are 12°C. Finish up your sightseeing early on the 31st (Sun) so you can travel to South Lake Tahoe. On the 31st (Sun), tour the pleasant surroundings at Heavenly Mountain Resort and then explore the different monuments and memorials at Genoa Cemetery. On the 1st (Mon), you'll have a packed day of sightseeing: have some family-friendly fun at Magic Carpet Golf, contemplate the waterfront views at Cascade Falls Trail, and then contemplate the waterfront views at Emerald Bay State Park. For maps, photos, more things to do, and other tourist information, go to the South Lake Tahoe trip planner . Getting from Portland to South Lake Tahoe by combination of flight and bus takes about 5.5 hours. Other options: drive; or take a bus. Plan for slightly colder temperatures traveling from Portland in May, with highs in South Lake Tahoe at 20°C and lows at 1°C. Finish your sightseeing early on the 2nd (Tue) so you can travel to Yosemite National Park. On the 2nd (Tue), explore the striking landscape of Bridalveil Fall. 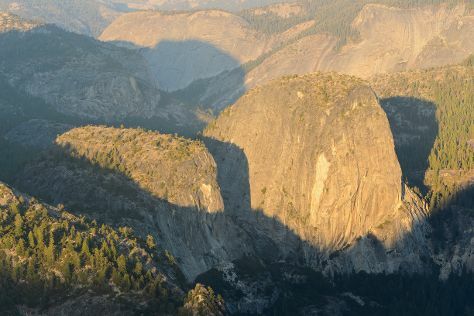 Keep things going the next day: get answers to all your questions at Yosemite Conservation Heritage Center, take in the dramatic natural features at Glacier Point, and then trek along Panorama Trail. For other places to visit, ratings, traveler tips, and other tourist information, refer to the Yosemite National Park trip itinerary planning app . You can take a bus from South Lake Tahoe to Yosemite National Park in 6.5 hours. In June, daytime highs in Yosemite National Park are 30°C, while nighttime lows are 7°C. Finish your sightseeing early on the 3rd (Wed) so you can drive to San Francisco. To find ratings, maps, where to stay, and tourist information, you can read our San Francisco travel route planner . Traveling by car from Yosemite National Park to San Francisco takes 4 hours. Alternatively, you can do a combination of car and flight; or do a combination of bus and flight. Traveling from Yosemite National Park in June, you will find days in San Francisco are a bit cooler (25°C), and nights are somewhat warmer (15°C). You will have some time to spend on the 4th (Thu) before leaving for home.